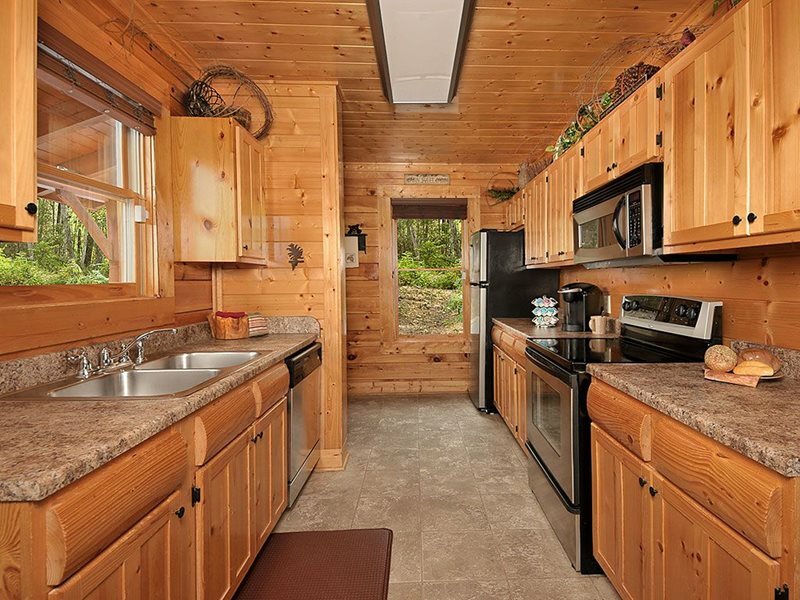 This is a two bedroom luxury cabin in the Smoky Mountains that sleeps 6 – 8. 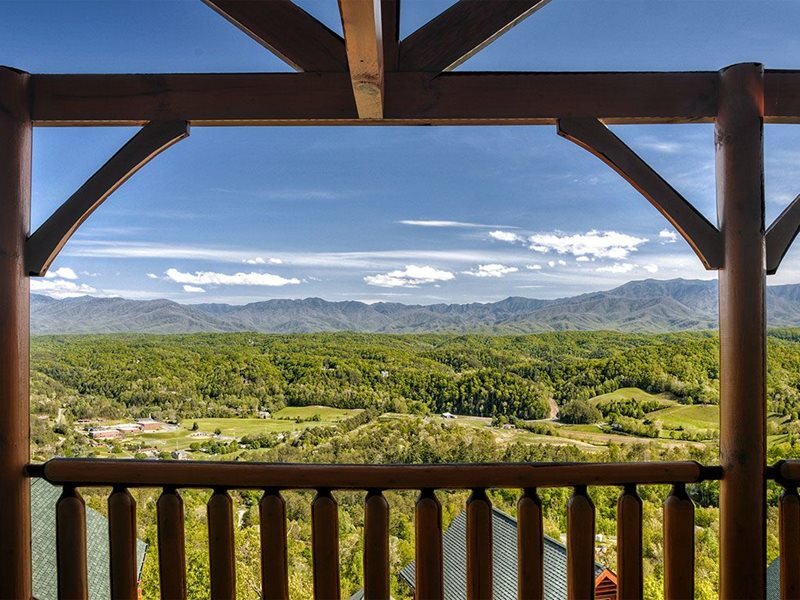 Imagine waking to a Spectacular Panoramic View of the Great Smoky Mountains. 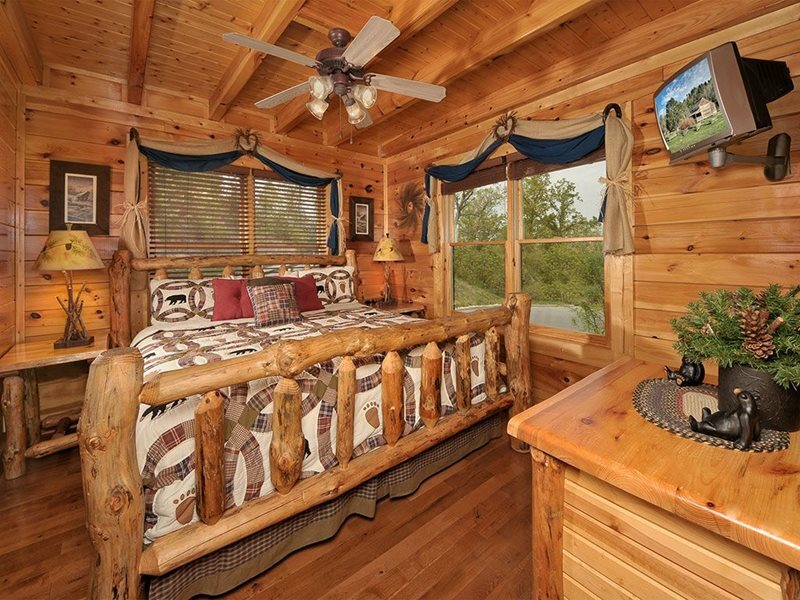 Experience all the extra comforts such as a jetted tub, an outdoor hot tub, two spacious decks, electric stone fireplace, vaulted cathedral ceiling, tongue and groove walls & ceilings throughout, rustic yet elegant log furniture, floor-to-ceiling glass windows, and the very best views of the Smoky Mountains. 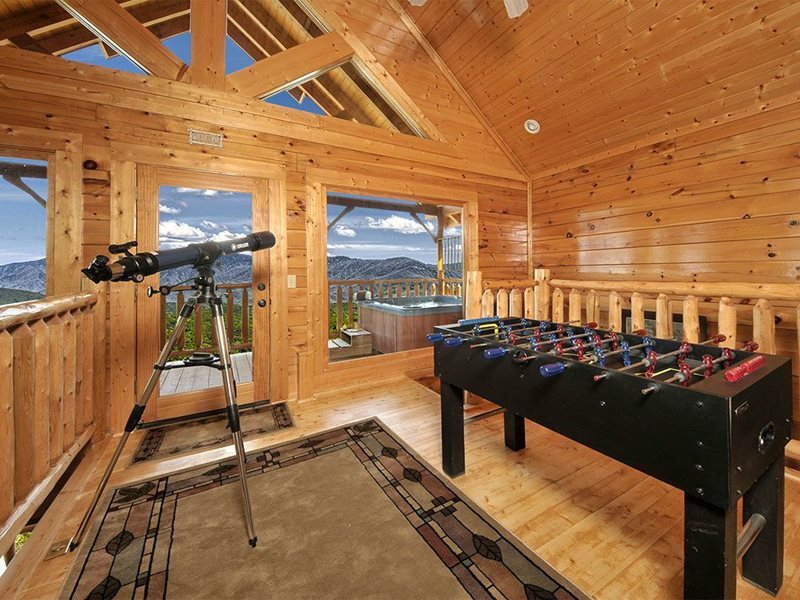 Located in Legacy Mountain Resort. 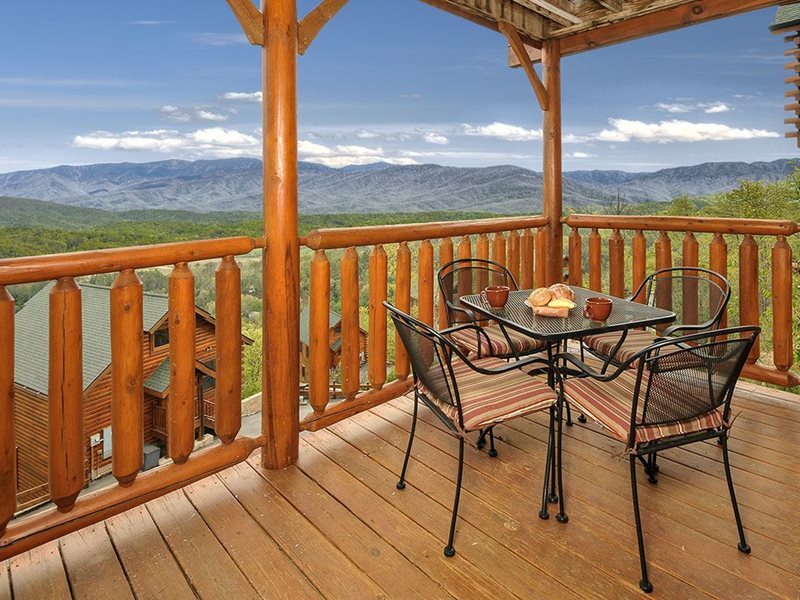 ‘Our Smoky Mountain View’ is a luxury log home in the Great Smoky Mountains! 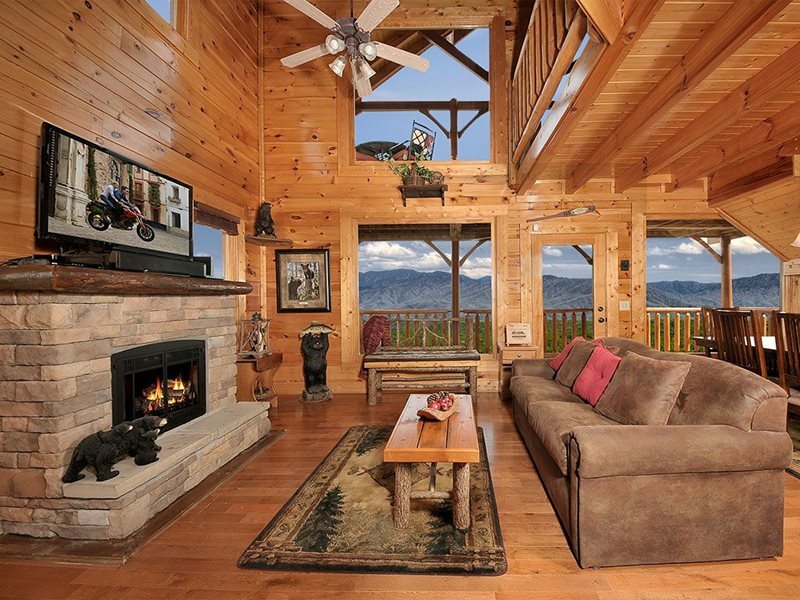 This lavish cabin is located in Legacy Mountain Resort. The resort has wide, paved and well maintained roads. 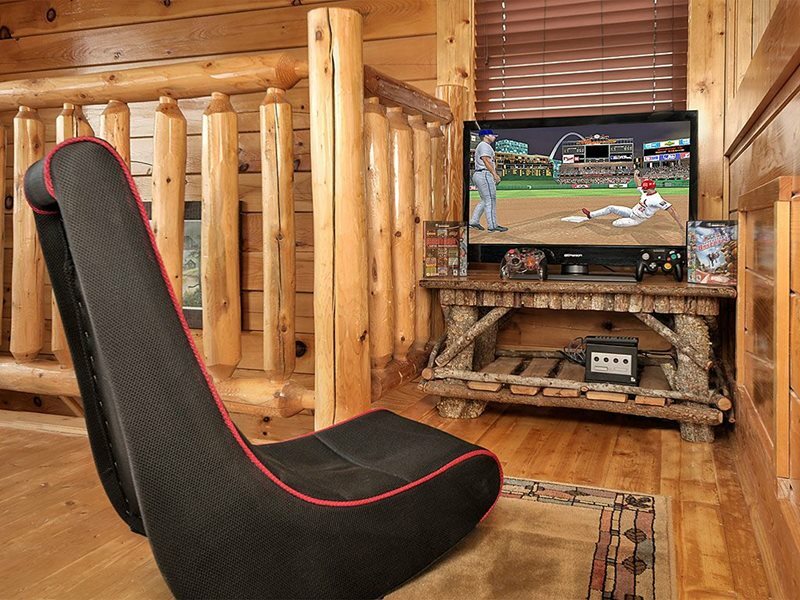 Legacy Mountain Resort cabins are very well built with much attention to details. 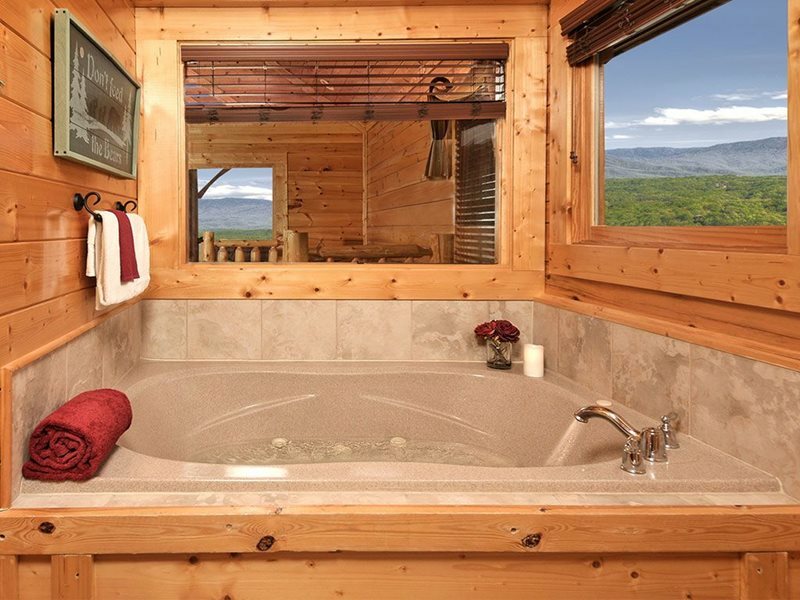 You will experience comforts such as a Jacuzzi tub, outdoor hot tub, two spacious decks, electric stone fireplace, vaulted cathedral ceilings, tongue and groove walls & ceilings throughout, rustic yet elegant log furniture, floor to ceiling glass windows, and in our opinion some of the best views of the Smoky Mountains. 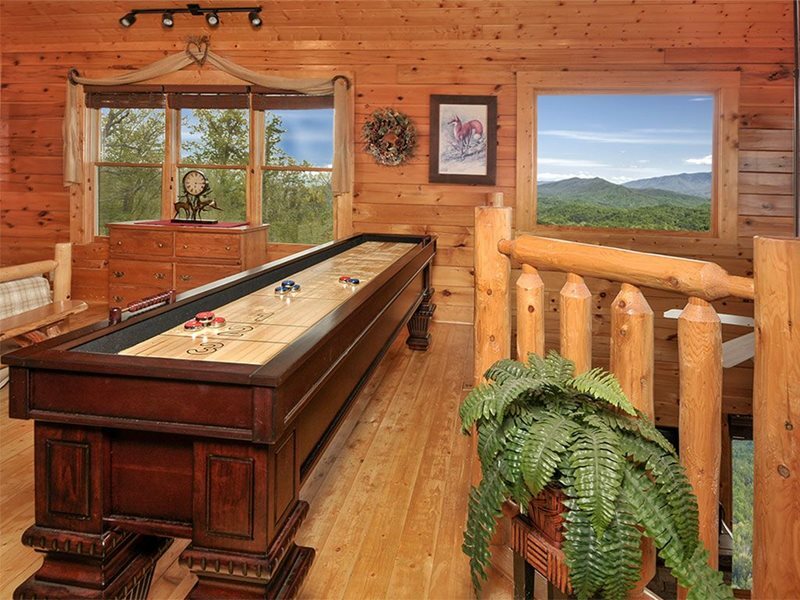 During your stay at ‘Our Smoky Mountain View’ take advantage of our amenities such as a shuffleboard table, Gameboy cube, Apple TV (you can stream your apple products right onto the tv) and a foosball table. 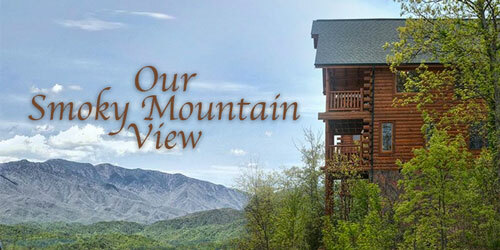 Legacy Mountain Resort is less than 10 miles to the Parkway in Pigeon Forge and Dollywood. 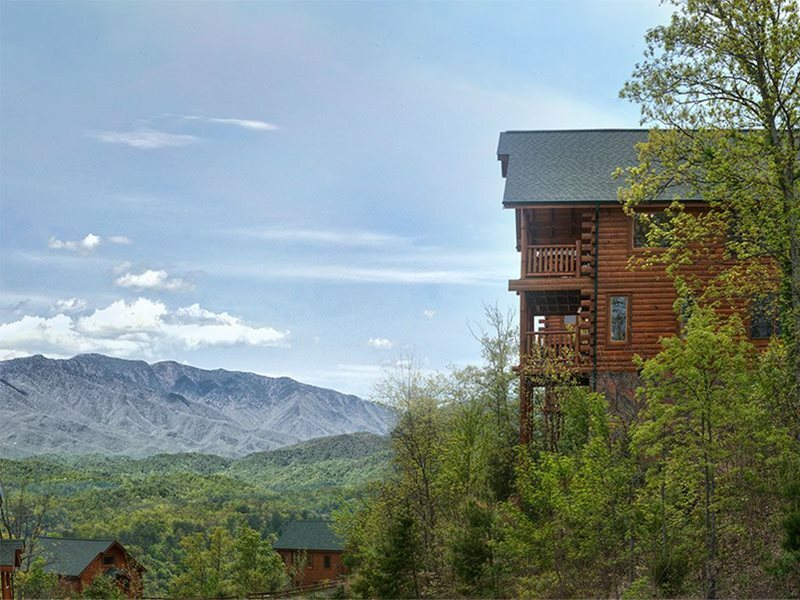 It is also less that 15 miles to Gatlinburg.